Naturally, I jumped on this and had a lesson for us booked within a fortnight. 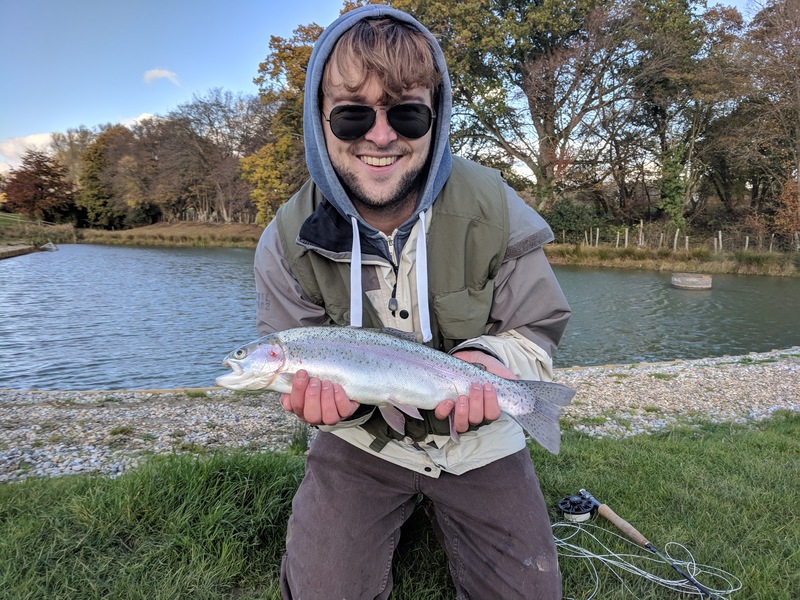 We went down to Spring Hill Trout Waters and had a couple of hours casting tuition before having a go on the main lake. Unfortunately, it was a particularly warm day, and as I’ve learnt more recently, summer is not optimal for trout on small lakes – so we didn’t catch, but we had fun all the same. I’ve since bought a couple of cheap Shakespeare Rod+Reel+Line combos for under sixty quid each, in a 9ft 5wt flavour and a 7ft 3wt flavour. The convenience of being able to keep all the gear in the back of the car, and just get in and go, is pretty amazing when you are used to loading the car up to the brim. My wife has opted not to rejoin me since but is very much enjoying eating the trout I’ve brought home since going back to Spring Hill a couple of times. 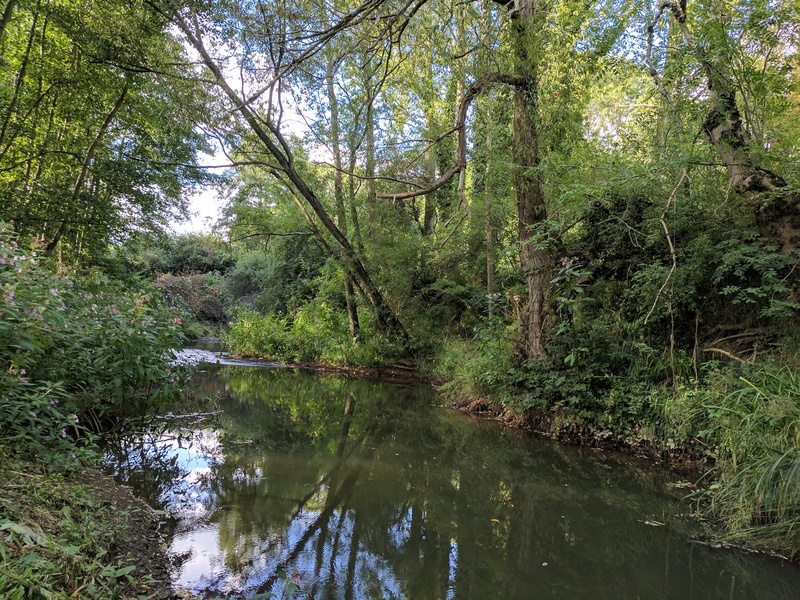 I also fished the River Teise over the summer and more recently enjoyed a session at Tenterden Trout Waters. Will hopefully be doing a bit more trout fishing in 2018!